File deletion is common and necessary. You have to delete unwanted files in order to get more free space for new data. If you deleted files from hard drive/USB flash drives/SD Cards/pen drives/other removable devices, you can still recover them since the files were never really wiped and Windows just marked the space the file occupied as available for new data storage. 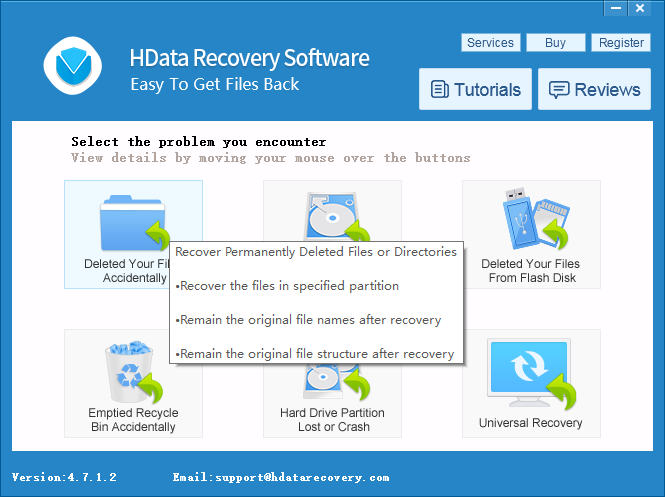 It is still possible to recover data even if you deleted files permanently. However, they would disappear forever when new data take up their spaces. If you saved new data, some deleted files would become partially corrupted and would be gone forever when they were fully overwritten by new files. In simple words, files deleted permanently in common ways can be recovered easily with professional data recovery software. 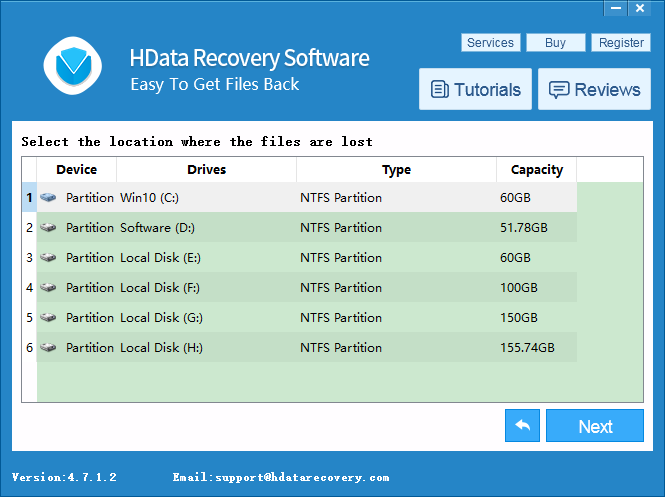 If you delete them accidentally, you can find yourself a reliable data recovery tool that can handle your data loss situation; on the other hand, if you need to destroy your private data completely, you’re suggested to use disk wiping utilities or physically destroy your storage device, if the need ever arises. How Can I Restore Permanently Deleted Files in Windows XP, Win 7, Win 8.1 & Win 10? Step 1. 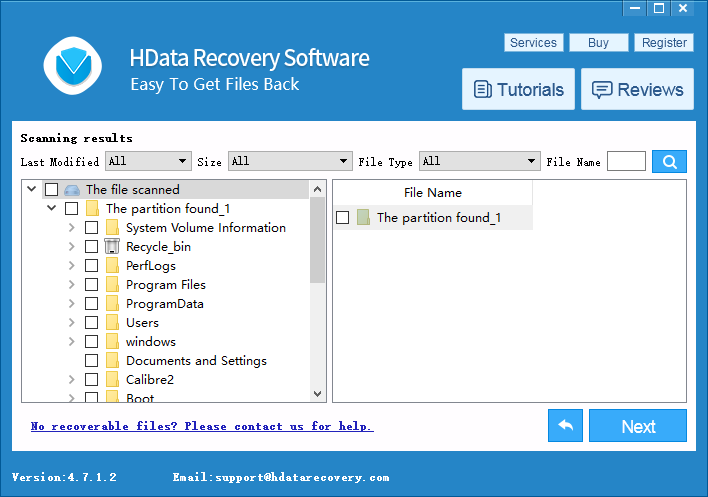 Free download and launch H data recovery software. Select a module best suited for your data loss situation and click Next. If you accidentally deleted files on your drive, select the first Accidental Deletion module. If your drive partitions have crashed, choose Partition Recovery module instead. You can hover the mouse cursor over each button to see the detailed description. Step 2. Select the partition from which you want to recover your data and click “Next” to search for all the lost files. Step 4. After you have chosen your files, you can go ahead and start to recover these files to your computer. You need to select a safe directory to store the recovered files first to avoid potential overwriting.